Should students invest in the stock market? I’m here today to uncover the true power of the stock market. I like to avoid taking advice from penniless people, and I often hear the moans and groans from them about how I need to avoid the stock market. They say I’ll lose my money, that fortunes are lost overnight in the stock market. This is all while they invest in things like savings accounts and treasury bills that net them whopping 1-2% returns on interest. The stock market, over time, has never had decreasing returns. Year to year, yes it goes up and down, but over the course of its history the stock market has returned, on average, 11%. You cannot find returns like that anywhere else. Period. Not even close. Savings accounts, Money Market Accounts, and CDs all have laughable returns compared to the stock market, yet people are still hesitant to invest. Mainly it is because they feel the stock market is too complicated to get into, but that’s a huge misconception. 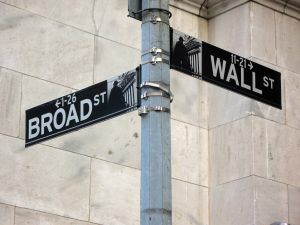 True, being a stock broker on Wall Street is extremely difficult and requires expertise, but transferring money from your bank account into a high-growth stock mutual fund is simpler than paying your phone bill! The misconception is that everyone has to be a New York stockbroker on the exchange floors to make money in stocks. You can invest from the comfort of your home directly or indirectly, through mutual funds. Plus, like I expresses earlier, the returns have been 10-12% on average over the lifetime of the stock market. No other form of savings comes close, especially after factoring risk into the equation. So for me personally, investing in the stock market is the most effective use of your money. The best part of it all, however, is that anyone with capital can do it! Whether you have ten dollars or ten million, anyone can start investing. While there are many things to learn before investing, the first step is realizing you need to invest to be successful in the future. Your goal is to be able to retire from work and have your money start working for you. This means living off of the compound interest your investments are making, which is a goal anyone can achieve! So the next time someone tries to stop you from investing your money, just show them the numbers!